There was a long hiatus between 1977 and 2000, even longer between 1977 and 2011. 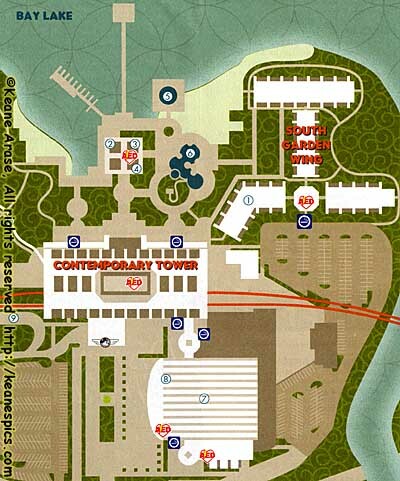 But D23 was presenting Destination D: Walt Disney World 40th, and the convention was being held at the Contemporary Convention Center. So, as I usually do these days, I stayed where the convention was at. Initially, I reserved a Garden Wing room, but after a few days consideration, I moved to a Park View Tower Room. What a good decision. I would recommend any Walt Disney World fan to stay at a resort that has a Magic Kingdom Park View at least once. Of course, having a monorail pass through the lobby of the hotel, is just too cool. 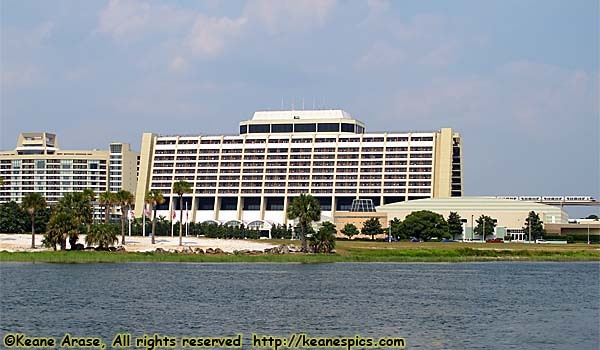 The Contemporary is one of the two original hotels at Disney World. It was built and originally owned by US Steel, and leased back to Disney. It wasn't a very happy arrangement, and Disney bought the hotels from US Steel, and never reentered an arrangement like that again. It's modular construction leads to the mis-belief that Disney's able to just remove a module and replace it with another. It's not possible. But you can read and see more about the history of the hotel in my Trip Report.